“What do you mean you haven’t been to Africa? !” For some reason, people are always surprised to find out that I have not been to Africa yet. I sort of see their point — for most people Antarctica is the last continent for them to visit. While I was on my way down to Ushuaia to the jumping off point for that trip an important fact occurred to me: Antarctica is closer. Well, Ushuaia is. From where I am on the West Coast of the US, going to Eastern or Southern Africa requires flying to Europe (10+ hrs), then another 8-12 to get to Africa. Ushuaia was only 2/3rds that distance. That’s my excuse anyway. 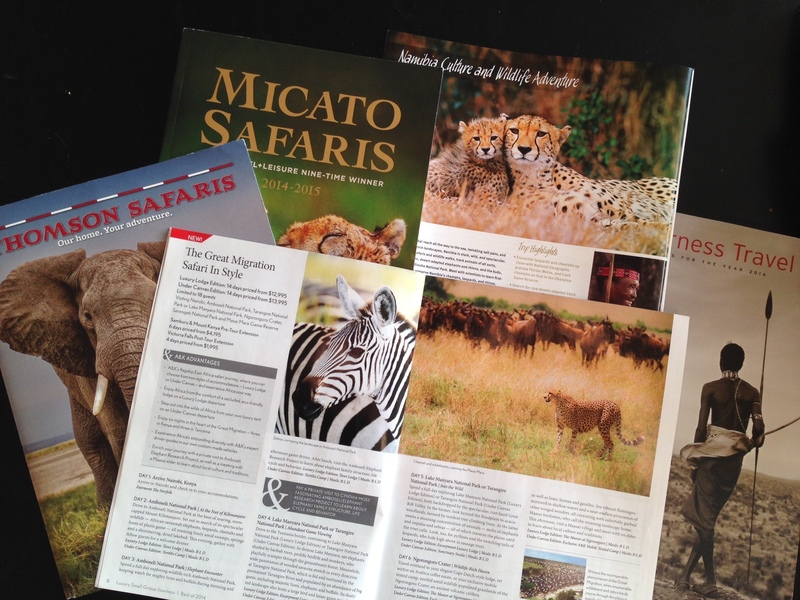 Going on a safari in southern or eastern Africa has been on “The List” for quite a while. I decided that 2015 will be the year. A friend I met while traveling is interested in going as well, so I’ve started doing some research. You may have noticed that neither of those things has anything to do with the parks you visit, the accommodation, the outfitter, the food. But they are probably the two things that could potentially frustrate the beejesus out of you if you don’t think a lot about them before booking. Special “Photo” safaris will only have 3 people per vehicle. You get a whole bench seat row all to yourself. Why does it matter? You can slide to either side of the land rover to get a picture of whatever animal is there outside the window. You don’t have to worry about craning past someone or even completely missing something cause you can’t see past their big fat head. You will also likely head out earlier in the morning and then stay out later in the evening, which is when the animals are most active anyway. As a photographer, it just kills me to miss photo opportunities because of silly things like dinner. And the extra luggage allowance? Pretty much any safari that flies from one location to another does so on very small planes. Small planes have very strict weight limits. Hence, you only get a 25 lb. luggage allowance. This includes all your camera gear. Coming back from Antarctica the ticket desk at Lan weighed my carry-on (full of camera stuff), and that alone came in at 28 lbs. Whoops. Most photo safari outfitters understand this problem, and arrange for their travelers to get another ~15lbs of luggage –enough for a few pieces of clothing and a pair of lightweight hiking boots. Or they actually drive it to the next location by car, and it arrives a few hours after you do. Any lodges you stay at often have same-day laundry so you can really get by with 3 outfits. Where you go should determine when you go (and vice versa): do you want to see the great migration in the Masai Mara? Do you want to see animals clustered around dry season watering holes in Botswana? Can you only go in midsummer school break? Each option triggers different choices. The seasons in that part of Africa are not analogous to the ones you find in most parts of the US, so you cannot really compare them. You have to research what it’s like at that place that time of year. What’s the goal? Do you wan to see the big 5 and tick a few birds off your list? Is there one specific animal — like a leopard– you’re just dying to see? Different areas offer different concentrations of the main megafauna on offer, so this too can affect where you choose to go. Is it all about the photography? Oh boy, is there a lot to think of. Then, we can’t not talk about cost. Safaris are expensive. Really expensive. For that money, what are you getting? You’re getting your own row of seats in a land rover (or at most, 6 people per vehicle, so everyone gets a window seat). Comfortable accommodation with an ensuite bathroom and electricity. Guides that are naturalists as well as trackers, who understand how to place the vehicle in the right spot for taking pictures and can tell you all about the life cycle of a lion. You’re getting safety, logistics that actually work and the ability to move between locations quickly and easily (by plane and not via a 12 hour ride on a bumpy road). As I go about collecting information and learning about each of these things I’ll be posting my findings here. Nathan Myhrvold used to be the CTO of Microsoft. I met him once because he had Galen Rowell do a private photo workshop for him – he’s obviously a very smart guy, and it’s interesting the way he’s gotten into all sorts of things from molecular gastronomy to photography since he’s left Microsoft. He wrote an article for The Luminous Landscape about the photo equipment considerations for safaris, and even if that’s not why you want to go, there is still a lot of other really good info in this article about different vehicles and ways to support your camera, and what it’s like to be on safari. I will continue to post follow-on articles about other safari operators and things I find out in my research. See what’s missing there? Yeah, me too. Project Africa 2015! 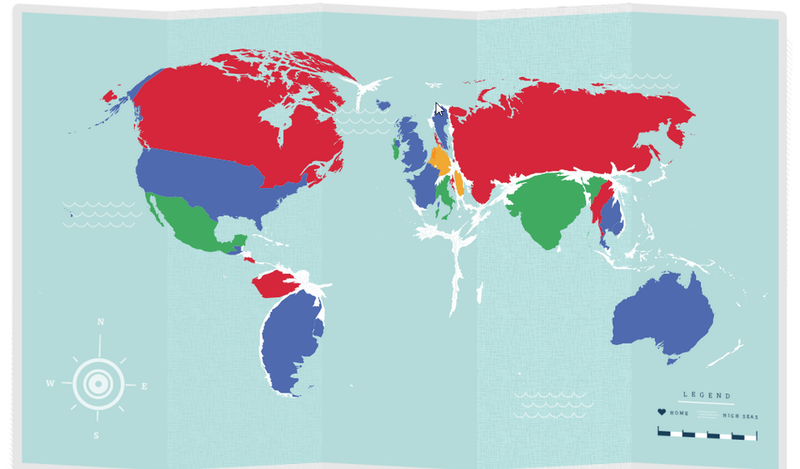 Get your own map of world travels here.